The recent trend of nonfiction surrounding historical events in the alcohol world is widely encouraging: It’s a field where much potential and promise for new scholarship is welcome and necessary. With a new pack of young writers establishing themselves for the long haul as historians and keepers of the flame, it is with great hope this groundswell doesn’t cease in the immediate future. 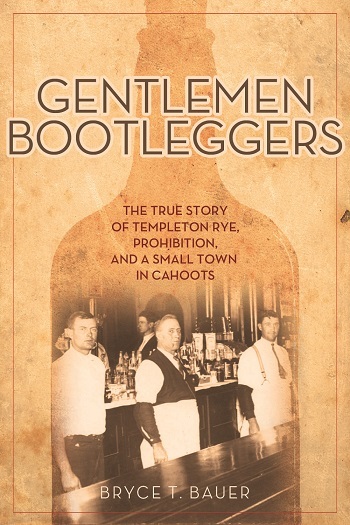 In his debut offering, journalist Bryce Bauer tells the tale of Templeton, Iowa, a community that refuted the early 20th century social structures commonly established throughout small Midwestern towns to band together and achieve success as bootleggers during Prohibition. The story centers around a wily cast of characters such as Otis P. Morganthaler, F.H. Huesmann, and Joseph Irlbeck, names which sound like they would own investment firms or a line of cookies in 2014, but here they each play a role in the town’s survival during one of the 20th century’s most tumultuous times. The whole tale seems to border on the comically absurd, and would make for one heck of a Coen brothers-crafted screenplay. Bauer’s work is well documented and thoroughly detailed, leaving no doubt that these events really and truly happened (there are some skeptics who deny bootlegging even occurred in Iowa). But one of the best parts of Gentlemen Bootleggers is the level of engagement with which Bauer tells the story. His writing feels effortless; more like a really enjoyable conversation over several drams on a late winter’s afternoon, rather than a starchy, overly annotated tome gathering dust on a library stack. Like Fred Minnick’s Whisky Women in 2013, Gentlemen Bootleggers is a solid debut and hopefully not the last we’ve seen of Bauer on the subject of spirits. Tequila: It’s What’s For Dinner?